Hello, we are Brandon and Makayla from Wyoming! We want to start by saying your strength is admirable and we appreciate you taking the time to consider our family. Just viewing our profile means the world to us. We spend most of our time outdoors with our many animals and each other. We live a very full life and are ready to add a bundle of joy to share in our wilderness adventures. We have both wanted to be parents from the time we met. We are high school sweethearts and have grown through many stages of life together. We have always talked about our family and over the years everything we have done together has been to prepare for the arrival of a child. Makayla views parenthood as the main purpose in her life and feels that it is what she is destined to be. Makayla can't imagine her life without becoming a mother. Brandon grew up in a large family and always enjoys having his nieces and nephews around. Brandon has always aspired to be a strong father figure in his children's lives. We are both so excited to share our lives with a child. We want to teach them everything we have learned from our parents and more. We want to show them the world! We love to travel and would love nothing more than to watch our child explore life and truly take in everything that it has to offer. Brandon is excited to teach our child about the wilderness and outdoors, he can't wait for a little hunting buddy. 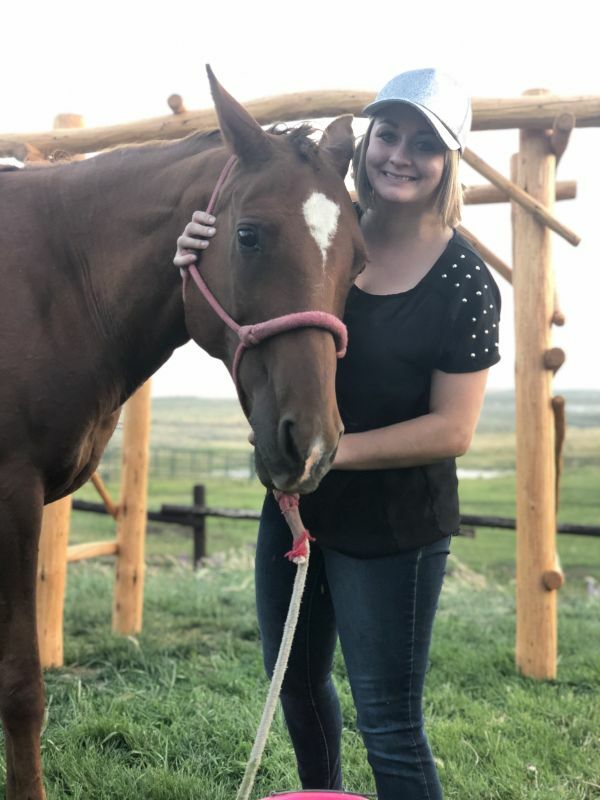 Makayla is excited to teach her children about horses and introduce them to as many animals as possible. We want to teach our children discipline and responsibility through the caretaking of animals and our home. We plan to have our children in 4-H and as many activities as possible so they can learn and grow from every experience. We live a very adventurous life and there is never an activity that is off limits. Makayla grew up participating in sports, 4-H, Taekwondo, dance, everything with horses, and many other activities. Brandon grew up as a very active kid as well. We want our child to do anything their heart desires. Our child will constantly be surrounded by love, animals, and nature. We are avid hunters and spend a lot of time in the wilderness and providing for our family. We plan to teach our child wilderness survival and all the skills they need to provide for their future family. We spend a lot of time on horses and horseback riding is a past time that we enjoy all summer and fall. Wyoming is the most beautiful state and the town we live in is surrounded by hundreds of mountain lakes that we love to explore and camp on. Our child will learn to hunt, fish, camp, canoe, swim, and shoot. We will raise our child with confidence and strong sense of fulfillment in life. Winter is also an exciting time in Wyoming. We spend time skiing, snowboarding, snowmobiling, ice fishing, cross country skiing, and snowshoeing. Our child will spend time learning and growing in a variety of different experiences and places. We also love to travel and plan to continue to explore the United States and the world with our child. We want our child to experience different cultures and surroundings as much as possible throughout their lives. We have worked to build our family for over five years. We struggled with infertility and infertility treatments. From the very beginning of our journey we discussed adoption. After our second failed IVF transfer, we began exploring adoption more as an option to build our family. We decided it was not important for Makayla to become pregnant, but for both of us to build a family and raise a child. We are both ready to embark on an adventure of love. In our hearts we know that adoption is the right path for our family. It is not blood or biology, but love that makes a family. To us, adoption gives us the opportunity to be parents and to raise a child with all of the love and fortune that we have been blessed with. We live in a very beautiful small town in Wyoming. Our home is about a mile away from a river that is very popular for fishing and camping. Our home sits on a large 10-acre parcel where we keep our horses. We have a pond on our yard, which our nieces and nephews love to play in! We have so much room for children to learn and grow. Our home is a large log home with three bedrooms and two bathrooms. We have a large addition that is intended to be remodeled into a playroom. It has a big open window for a view of the Wind River Mountain Range and our property. There is wildlife all around us, the antelope visit and hangout in the field all throughout the spring clear into late fall. In the winter we will often have moose stop by the horse shed to take a break from the cold and eat some hay. Our small town has a very highly accredited school district that has a variety of activities. There is also a large aquatic center that is unlike any other in the state of Wyoming. Our aquatic center has a kiddie pool, slides, a rock climbing wall, and always has activities going on for kids. This small town also has its own ski area which we frequent often throughout the winter. Makayla teaches many kids how to ski and snowboard every year and we are ready to teach our own little one. Brandon has a very large family that includes four sisters and two brothers. All of our family on Brandon's side lives within three hours and we see all of them regularly. Many of his family members live in our hometown, which is best described as a little valley in the mountains. We have eight nieces and nephews and they are so excited for another cousin to play with! Makayla has one sibling named Hunter, who we are both very close to. We are so close to him in fact, that he lives a mile down the road from us on his own 10 acre lot of land. Hunter comes over regularly for dinners, since Makayla loves to cook. Brandon's family also really enjoys Makayla's cooking and often come down and visits for an entire weekend or holiday. Makayla's family also lives in our hometown and they have saved all of Makayla's childhood treasures for their grandchild. Both of our families are looking forward to meeting our child when they arrive. Both of our families are very supportive and are very excited to welcome the newest little one to the family. Hello and thank you for taking the time to read our story! We are Brandon and Makayla and we are from the great state of Wyoming! 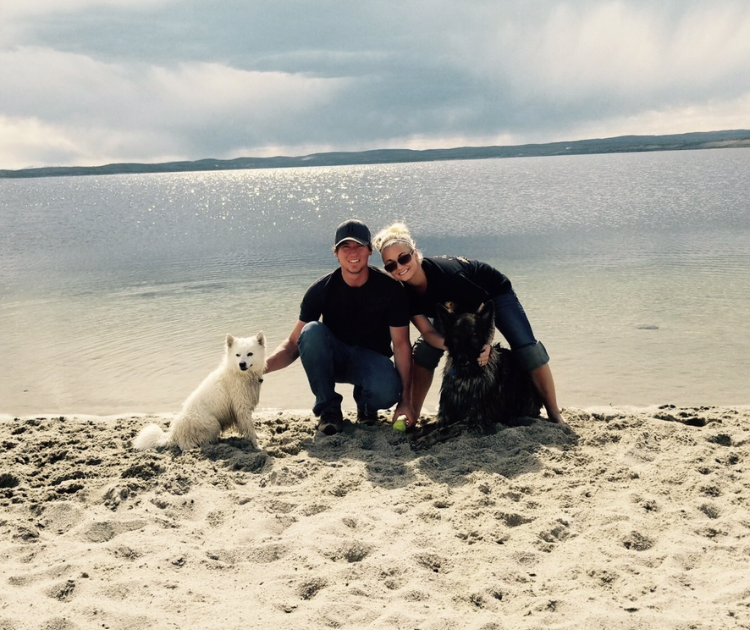 The first thing that you need to know is that we are an adventurous family and our lifelong dream has been to raise a child and grow our family! We personally feel that adoption is the path for our family and are so excited to share our story. 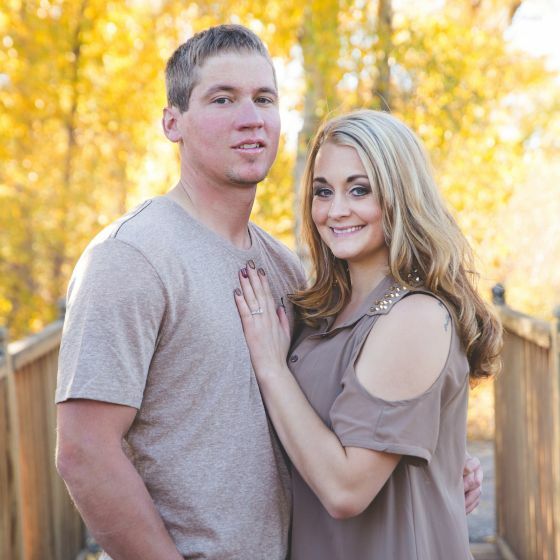 Our adventure began when Makayla was in high school and Brandon was working in the oil fields. We met through our mutual best friends and we have been inseparable ever since our first meeting 6 years ago! When Makayla graduated she moved in with Brandon and our life began from there. Makayla pursued her education online and also worked her way up in the financial industry. Brandon pursued work in the oil field and worked his way up through different companies along the way. Makayla now works in the insurance field and loves the flexibility she has through a variety of different companies, including the option to work from home. Brandon is a supervisor in the natural gas field and has a job where he is able to be home every evening and on weekends. Our jobs provide financial security and flexibility for our future children. We live in one of the most beautiful places in the nation! The small town that we live in is the perfect place for children. We both grew up in a small town about 2 hours away where most of our families and friends still live. The town that we live in has a population of 2,000 people. We live in an area surrounded by mountains and mountain lakes. There are over 1,300 lakes in our small mountain town! We also have a ski area, which is just outside of town and we plan to teach our children to ski and snowboard. Our small town boasts one of the finest aquatic centers in the state that is designed for children to learn and grow from tiny toddlers to high school swimmers. There are several parks and always activities in the community for growing children. The school district in our town is ranked #2 in the state, education is very important to us and it is essential our child is given every opportunity to succeed. We have a large beautiful log home that houses our fur babies. We have 2 cats and 3 dogs who are our pride and joy. Makayla grew up riding horses from before she can remember and has passed on this passion to Brandon. Our horses are also our fur babies and are a huge part of our life. We spend the summers riding and camping with them and then in the fall we use them for hunting season. We both grew up hunting and it has always been an important part of providing for our family. We are so excited to teach our children about the values of hunting. During the summer and winter we are always outside and we are always spending time outdoors having as much fun as possible. There is so much that we can share about our lives and plans for our future children, we would love to talk with you more and learn more about your values and hopes and dreams for your baby. We can't begin to understand the situation that you may be in. Adoption is beautiful, but it is also very painful. There are no words to describe your strength and selflessness in creating an adoption plan for your child. It warms our hearts to know that our child will have more than one loving family that cares about them so deeply. We want to make sure they know the sacrifice that was made for them and that they know their full story. Adoption will not define our child, but it will be a huge part of who they are. We will send pictures and letters and keep open to visits and communication. Thank you for reading a little about us and thank you for considering our family to become a part of your family.